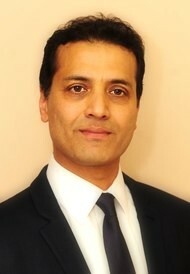 Dr. Jilani has been practicing as a cosmetic dermatologist in the UK since 2001. He is passionate about his work in advanced medical cosmetic treatments, and takes great care of each and every one of his clients. Dr. Jilani is one of the first doctor in the UK to specialise in Cosmetic Medicine since 2001, and is the pioneer of medical cosmetic treatments on the Isle of Wight. He researches all the treatments offered at the clinic extensively for safety and effectiveness. He keeps in close contact with medical colleagues in the USA and Europe so that he can bring the best and latest treatments back to the UK. Dr Jilani regularly attends scientific and educational meetings and conferences throughout the world, to ensure that the Island Cosmetic Clinic remains at the forefront of the exciting field of cosmetic and aesthetic medicine. The Island Cosmetic Clinic is the only cosmetic clinic in the country to be a Finalist for 3 MyFaceMyBody Awards.